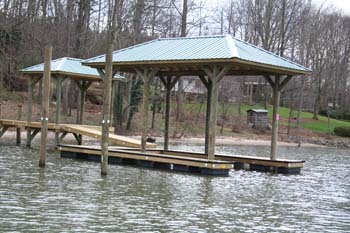 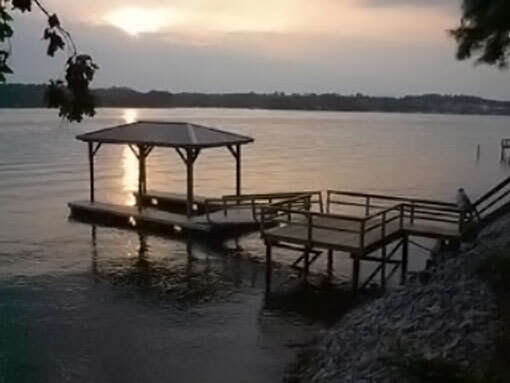 Our Floating Dock systems come standard with a 5 Year Structural Warranty. 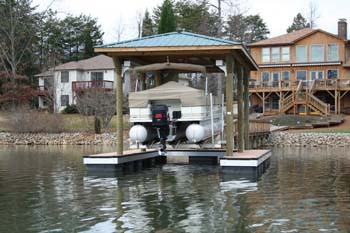 If you are adding a roof or Fundeck system we have our Combination Docks, which have a floating dock and a fixed roof or Fundeck. 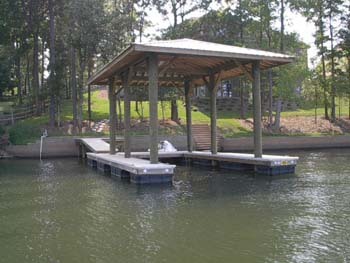 This type of construction takes the stress off of the floating dock and puts it where it needs to be, on the “foundation”, the pilings. 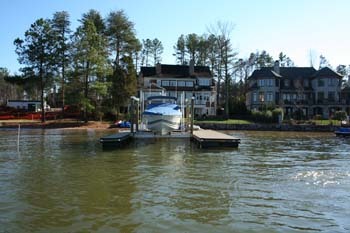 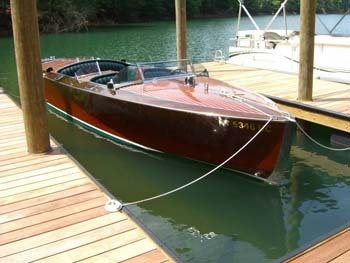 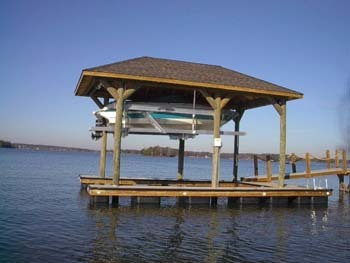 The pilings are also designed for cable boatlifts to protect your boat. 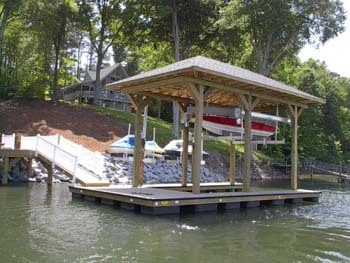 Click on our “Options” page to see the decking, handrail, roof and Fun Deck systems to complete your dock system. 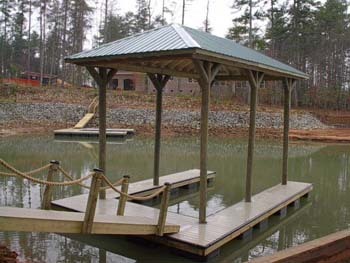 No Outside Guides For Maximum Use!